Kanye West responds to Jimmy Kimmel’s offensive jokes with furious tweeting. 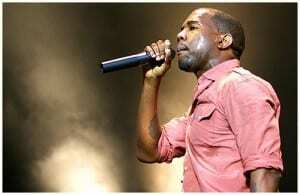 Kanye West launched an angry twitter rant on Thursday evening aimed at Jimmy Kimmel after recently being mocked by the talk show host on Jimmy Kimmel Live!. Earlier this week, Jimmy Kimmel made fun of comments Kanye made during a BBC interview with Zane Lowe. The interview was then reenacted with children playing the parts of both West and Lowe. Kimmel’s ignorant and boring jokes would have possibly fallen to the wayside had Kanye not responded with multiple outraged tweets that have recently gained much publicity. While these tweets may come as a comical and over emotional knee-jerk reaction to Kimmel’s joking, many people are sympathizing with Kanye’s outrage. 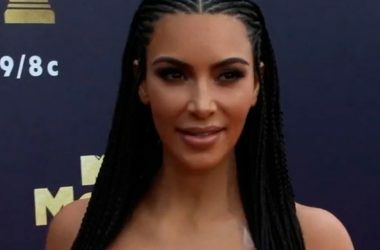 Jimmy Kimmel distastefully mocked a serious interview, in which Kanye made some very insightful and truthful comments about his career, rap music and race. Kimmel poked fun at Kanye specifically for certain “arrogant” statements. He furthermore, illustrated his own racism and the racism which plagues media representation by having a child actor play Kanye. Infantilizing? Undoubtedly. Watch the interview and read more quotes here.